Inn Rocio, Baguio's cosy hotel. Inn Rocio your home away from home. Inn Rocio is perched on top of a hill overlooking, Baguio City. Baguio's Rocio Inn is a product of the city’s rich history, the Rocio exudes a variety of influences. The interior boasts Spanish themed accents and antiques, owing to the lineage of its owner. Yet it also radiates the warmth and cosiness of America’s old-south with its large stone fireplaces and gleaming pine walls and floors. You can get an idea of how much accommodation at Inn Rocio will cost you here. Or have a look at Tripadvisor's recommendations, compare prices and bookings for Inn Rocio. The extremely informal Inn appears to be a bit run down and falling apart, but it still has eleven spacious, airy and well-ventilated rooms with hot and cold shower. It also has a conference room situated amid the peace and quiet of the inn’s hillside garden. Within and outside the walls, you can easily get caught in the wonders and serenity of nature. Wide glass windows present visitors with a panorama of its sprawling, all season flower garden, teeming with roses, carnations and magnolias. Standing amid tall, majestic pine trees, the Inn, never mind the ancient structure, offers each visitor the very best that nature has to offer – it truly is a respite for every city slicker. You can even smell the fragrant Baguio breeze inside the Rocio’s bright and cosy rooms. Where is the Rocio Inn, Baguio? 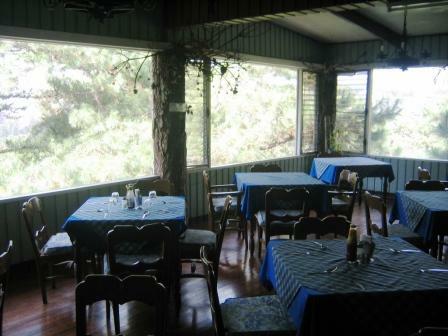 Inn Rocio is located on 68 Kisad Road in Baguio City. Merely five minutes from the Central Business District of Baguio, the feel is remarkably country and has that homey feel to it. The atmosphere is relaxed. You can stay true to yourself and have fun according to your own terms. The staff is caring and friendly. It is no wonder this place has been called “a home away from home” by so many. Inn Rocio has been recognized as the Best Inn in the city after consistently winning First Place in the Panagbenga (flower festival) competition over the years under the pension/tourist inn category. Overlooking the panoramic view of downtown Baguio is the Inn Rocio Restaurant which has served people from all walks of life for nearly three decades. Make sure you try the delicious, mouth-watering desserts that have attracted many renowned personalities. They also offer a wide array of Filipino, Chinese and American dishes. Inn Rocio was an old house transformed and extended into an inn. The original portion of the house is made of wood and has been kept clean and polished. It was the former summer home of the late Don Joaquin "Chino" Roces and his family, all the rooms have been built and designed for leisure and comfort. Each room is equipped with cable TV, and has its own toilet and bath guaranteed with an adequate supply of hot and cold water, the hot a must in Baguio! Their conference room is built separately from the inn's structure and is designed for small groups, it has a maximum capacity of up to 100 persons. It is equipped with sound system, microphones, podium, TV, VHS, overhead projector, white board, conference tables and chairs. It is ideal for parties, workshops and other memorable gatherings. With regards to parking spaces, they have enough for at least 25 cars with added security. Is the Rocio worth the money? The Inn Rocio is not glamorous but it is nice and cosy. It does need a bit of tender loving care to restore it to it’s former glory, perhaps in time…. All you need to do is put the dates your staying in Baguio into the search box below and it will search and list for you the best prices of hotels in Baguio. You can get an idea of how much accommodation at Rocio Inn will cost you here. 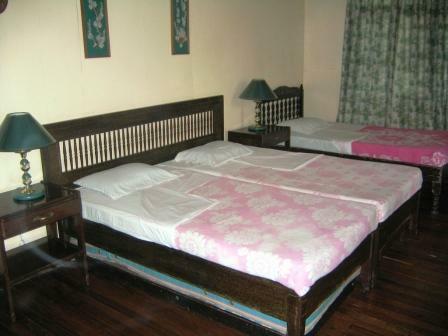 Or have a look at Tripadvisor's recommendations, compare prices and bookings for Rocio Inn Baguio.